Many people are seeking to find their purpose in life. What is God’s purpose for them? Frequently, the desires of our hearts are also the will of God. How can you find out what God’s will is for your life? The answer to these questions is of supreme importance, not only for believers, but for God as well. God wants you to know His will for your life. A good place to start is in prayer, reading the Bible, and in seeking counsel from Christian friends. If you are not a believer in Jesus Christ and have not placed saving faith in Him, then you are out of the will of God for He desires that all to come to repentance and faith and to be born-again. If you are not a Christian, then you will never truly find out what God’s will is for you. For non-believers, God’s will is for you to place your faith and trust in Jesus Christ as Lord and Savior – to repent and ask Him to forgive your sins. The Bible is clear about what God desires from Christians. God wants us to glorify His Son’s name, Jesus Christ. The Bible is clear about what God desires from Christians. God wants us to glorify His Son’s name, Jesus Christ. He desires that we tell others about the good news of the Gospel. Apart from these two obvious wills of God for us, what other Scriptures tell us what God wants us to focus on? Romans 12:1-2 says, “Therefore, I urge you, brothers and sisters, in view of God’s mercy, to offer your bodies as a living sacrifice, holy and pleasing to God—this is your true and proper worship. Do not conform to the pattern of this world, but be transformed by the renewing of your mind. Then you will be able to test and approve what God’s will is—his good, pleasing and perfect will.” When Paul says “I urge you” the Greek indicative is to beg or plead with the brothers and sisters. The word “urge” is more like a desperate plea for your own sakes and in fact the word urge is from the root word for “urgent.” This means it is of critical importance. Also, notice in verse two that it says, “Do not conform to the pattern of this world, but be transformed by the renewing of your mind.” This renewing is the same Greek word that typifies the Transfiguration of Jesus on the mount of Transfiguration (Matt. 17:1-6). This is where the Shekina Glory was revealed to Peter, James, and John. So we know that God desires for us to not be conformed to the pattern of this world, but be transformed by the renewing of the mind by the Holy Spirit. In Romans 1:2 it says, “Then you will be able to test and approve what God’s will is—his good, pleasing and perfect will.” It says that only then, that is after the renewing of the mind and not being patterned after this world, that we can know “his good, pleasing, and perfect will.” That’s it! This is His perfect will! God’s will for our lives is that we not be conformed to the world but allow the Holy Spirit to transform our minds and then we can “what God’s will is—his good, pleasing and perfect will.” How clear that is. That is God’s will for our lives. It is not for us to be rich, to never be sick, and to not suffer, but to conform to His will and His will is a “perfect will!” Wouldn’t you expect to know where to find God’s will? 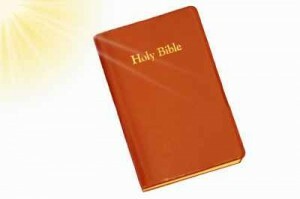 Naturally you can find it in the Bible, because God’s Word to us is the Bible. So God’s will for our lives is to be transformed by the Holy Spirit, to not be conformed to the world, and maybe even to suffer. Wait! To suffer? First Peter 3:17 says, “For it is better, if it is God’s will, to suffer for doing good than for doing evil.” Jesus had to suffer more than anyone else in human history and just before Calvary Jesus “fell with his face to the ground and prayed, “My Father, if it is possible, may this cup be taken from me. Yet not as I will, but as you will” (Matt. 26:39). There it is. Jesus wanted to seek and do God the Father’s will over His own. And what was God’s will for Jesus? The prophet Isaiah tells us what God’s will was for Jesus just before the brutal Calvary: “Yet it was the LORD’s will to crush him and cause him to suffer, and though the LORD makes his life a guilt offering, he will see his offspring and prolong his days, and the will of the LORD will prosper in his hand” (Is. 53:10). Yes, this was God the Father’s will for Jesus. His will for Jesus was to “crush him and cause him to suffer” and to make “his life a guilt offering” for those who would believe in Him. It should not surprise us then that sometimes God’s will is for us to suffer and this suffering is for God’s glory! I realize that for some who are reading this article about how to find God’s will for your life would not ever think about it being to suffer, but this is from the Bible and the Bible is God speaking to us from His Word (2 Pet. 1:20-21, 2 Tim. 3:16). Another way to find God’s will in your life is to seek the counsel of an adviser, a friend, a pastor, or teacher. The Bible says that “in the multitude of counselors there is safety” (Prov. 24:6b). Proverbs 11:4b also says that “there is safety in having many advisers.” The key word in these proverbs is many. Asking your best friend may not help you find God’s will for your life. It may be good advice but it may not be God’s will. As we read in Romans 8:28, Christians can rest in the fact that God is sovereign over everything that happens in this life. He directs events, He puts people in our paths, and essentially He enables us to be in the right place at the right time. Proverbs 21:1 is one of my favorite Scriptures for reassurance when I am praying for God’s will in my life, “The king’s heart is like channels of water in the hand of the LORD; He turns it wherever He wishes.” If God can direct the king’s heart to “wherever He wishes”, then surely He can direct you to the right employer, to the right woman or man, to the right ministry, or whatever His will is for you. The key here is that your will must be aligned with His will or you will be frustrated. We already know that God’s will is for us to not be conformed to this world, to be renewed in our minds by the Holy Spirit, and to seek godly counselors, but He also wants us to know that He is directing your life in His good and pleasing sovereignty for what is best for you (Rom 8:28). He wants you to trust Him in this directing. Proverbs 16:33 indicates that “The lot is cast into the lap, but its every decision is from the LORD.” This clearly means that if we cast some dice, God not only knows where they will land, but what their sum total will be. That “decision is from the LORD.” The question is, will you trust Him with it? Daniel 4:35 says “All the peoples of the earth are regarded as nothing. He does as he pleases with the powers of heaven and the peoples of the earth. No one can hold back his hand or say to him: “What have you done?” If God does what He pleases with the nations of the world, and “no one can hold back His hand”, then surely you must know that He can help you find your will for your life which will also be His will for your life. An important lesson here is that God’s will for your life should be what you are seeking as your will for your life. You do not want to seek your will unless it is also God’s will. To seek a will for your life that is different from that of God’s will for your life will be a continual frustration. The true joy in your life will be finding God’s will for it. Anything short of this will not be pleasing to God and will not please you in the end. God’s will for your life is also revealed in these Scriptures. God doesn’t want to frustrate us in seeking His will for our lives. As it says in Deuteronomy 29:29, “The secret things belong to the LORD our God, but the things revealed belong to us and to our children forever, that we may follow all the words of this law.“ We can see that finding God’s will for our lives is found in the Bible. His words to us are His Word in print – the Bible. You will be amazed at how much of God’s will for your life will be plainly revealed to you by simply reading the Bible every day. God is not trying to hide His will for your life. That is not His way. He wants you to know His will and the will of God is in the words of God – in Scripture. Do not be conformed to the pattern of this world. Be transformed by the renewing of your mind by the Holy Spirit. Seek a multitude of godly counselors. Live a holy, sanctified life. Being thankful to God for everything. Read His Word, the Holy Bible. God’s will for your life is much more than an occupation (a teacher, a janitor, a painter, an accountant, or a carpenter) – it is for you to live a life pleasing to Him, allow the Holy Spirit to renew your mind, suffer for good, trust in Him, live a holy life, and read His Word. This is the will of God for you and for every Christian’s life. Now the question is, will you make His will for your life, your will for your life? I too pray for Pastor Jack’s strength. Of course Godly people are targets of evil. But we are tested as Pastor Jack says and our armor is grows thicker. The Sword of the Lord sharper as our offense weapon. The more evil is against us the more the Lord notices and helps us. Praise the Lord! Blessings out to everyone in the fight to overcome evil with good. I too pray for Pastor Jack’s strength. Of course Godly people are targets of evil. But we are tested as Pastor Jack says and our armor grows thicker. The Sword of the Lord sharper as our offense weapon. The more evil is against us the more the Lord notices and helps us. Praise the Lord! Blessings out to everyone in the fight to overcome evil with good. And I am also praying for all the spiritual leaders in the world. For additional task is given to them. And that is to nurture the souls that might grow astray. I personally believe that it is our responsibility to pray for our earthly leaders strength, as they help us grow closer with our Maker every step of the way. Thank you for youor love and time. I really appreciate it. I wonder if Christians realize they are to pray for our earthly leaders because they do not pray themselves to the Father in the Name of the Son? Pray for the leaders to obey God. Pray for our Christian leaders to stand firm when man’s laws are against the Word of God and His perfect justice? There is a great deal of difference between what are man’s laws and what is God’s justice. We are justified only through the Holy Spirit. So next time we pray for our leaders both Christian and secular leaders we pray for them to obey God. Consider a devotion I just received from In Touch Ministries of Dr. Stanley, Mar 25, 2015. Years ago I made a commitment to obey the Lord regardless of the cost. Like everyone else, I have made mistakes, but my determination to follow Christ has remained unchanged. When difficulties occur, such a pledge helps a person to stand firm. We’ll all encounter times when there’s a direct conflict between God’s way and what is being asked of us. Perhaps the boss tells us to misrepresent the company’s product to customers. Or a friend may be pressuring us to join her in some risky behavior. Or family members may urge us to lie on their behalf. Saying no could bring loss, rejection, or even the end of a relationship. On the other hand, saying yes could compromise our testimony or break God’s commands. Daniel faced such a dilemma. He and his three friends had a clear choice—to eat food prohibited by Scripture, or to refuse and incur the king’s wrath, imprisonment, or even death. Daniel showed great courage when he proposed a different eating plan (Dan. 1:12). His words and actions demonstrated his allegiance to the Lord. Daniel and his friends were rewarded by God for their faith and commitment (v. 17). Despite their adverse circumstances, all four men confidently trusted in the Lord’s sovereign care for them. We are to be God pleasers and not man’s pleasers in all we say and do. I strongly agree, my friend. Let me share with you one of the teachings I have learned from a book written by a pastor here in the Philippines. Sometimes we are torn between doing what is good and doing what is not. If doing either one of these will put us in trouble, better do the right thing. People might be against us, but not God. He is pleased by our right choices, even at the expense of the world turning its back on us. Just in case we fall, His mercy and forgiveness is abundant for all of us. I am not using this as a justification though, or as a license to keep on sinning. He is generous enough to forgive us when we are sincerely sorry for our wrong choices. I know that God is currently at work blessing us all. Let us keep the faith. Again we are in agreement. I have two favorite Saints from the Bible. I hope all investigate these loyal to the Alpha and Omega even unto their mortal deaths for His sake. They surely now have their Crowns in Heaven and full white robes as part of the Great Cloud of Witnesses who will join Our Savior with His new name on His Great Day of return. Temporary conditions on this earth for ” a little while ” are nothing to being part of the Host who worship He who is on the Throne in all of His Glory! Read all of John 17. Jesus’ prayer to the Father for us right before He was glorified in Crucifixion and His triumphant Resurrection. Praise His Holy Name, God the Son, Jesus Christ! Join Christians in worship especially during Holy Week, the Week of Passion Resurrection, and the PASSOVER. Let us put aside all pagan practices of “Easter” named for the fertility goddess. How have you been doing, my sister? I just wanna suddenly hear from you. You don’t need to worry about me because I am doing so great so far. God has really been good to me. And He still is. And I know that He is also faithful to you. Missing the time that we share our beliefs together. That is good to hear. You take care too, my sister. I have a friend who was an unbeliever. Then after a couple of years we met. And he became a Christian. My heart was filled with joy for the sudden change in his life, because I invited him before to go with me at our church, but he never went with me. And it seems like he was given a gift of prophecy. The last time we met and he tried to see God’s will for my life, he was able to give me an answer. He told me the vision that God has shown him. He said that he saw me entering a huge building. And based on his interpretation, God really has a spectacular and wonderful plan for me. I am a little bit confused. I wanna trust his gift that seems to be God-given. And I know that His plans for me are really good. I believe it because I have seen his life before, and he is a completely changed person now. He is an active worker of their church. His advise is always Bible-based, as in he cites Bible verses everytime we speak. And our conversations always began and ended with a prayer. Jesus said that we can tell if someone is known by his works, or his fruits (I can’t remember His exact statement, I am sorry). And it seems to me that he is really a man of God because I can sense it by his words and action. What is your take about this? Thank you very much. Matthew I would be very careful. Trust God and the Spirit of God and not someone else’s vision because it cannot ever be validated as true or not or who the true source is, whether from God or not. There is no gift that I see where someone has a vision about someone’s future. I knew a man who said his pastor told him after a vision, that he was supposed to break off the engagement to marry this very godly woman. Both ended up miserable and are still single to this day. Where in the New Testament church do we see someone have a vision where someone else is supposed to do this or do that? Why wouldn’t he go to church? The Bible says to not forsake the assembling of ourselves. There are no lone ranger Christians in the New Testament church. Every gift of God of the Spirit is given for the church to be built up and edified, not for speaking to one person about what they should or shouldn’t do. You said he based his vision on “his interpretation” and that concerns me. If we want to know God’s will for our live, obey the revealed will of God in the Bible and He will reveal what He wants you to do. I would just be cautious, that is all I can say. Wondering how you are doing Matthew. Quite well I hope. I am revisiting this teaching. I must admit I fall short of the glory of God. Pastor Jack’s road map is a very good one to emulate. May we all walk to the light with assurance that we are loved and seek to do His will and not ours. There is a very informative discussion going on Faith in the News I find quite helpful. Hello there, Patty. It has been a while. I felt a little bit sad about what happened. But I am very much happy because I know and I declare that something so good is gonna happen with your life. 1)	YOU ARE DEARLY LOVED BY GOD. You are made by His own image. His breath gave you life. He molded you with His loving arms eventhough He can just simply declare your existence. He is so focused with you, with your wants, with your needs, and with every single detail in your life. He even knows the name of each of your hair strand. That is how He’s so into You. 2)	JESUS SEALED THE DEAL. Everything is already finished. All of your sins –the past, the present, and the future- have already been paid. There is nothing that you can do that will make Him hate you. Although this does not give us the license to intentionally sin continuously, it is by His grace that we can continue to walk Him after we fall. 3)	WE NEED FORGIVENESS. God knows that as long as we are here in this world, we will commit mistakes. That is why his grace, forgiveness, and love is all brand new each and every day. It makes us always brand new. 4)	FORGIVE YOURSELF. Isn’t it very ironic that you are being hard, harsh, and unfair to yourself, when in fact, the One who created you, is holding you so tenderly? Why should you punish yourself if your Maker has already thrown all your inequities out of the window? It really is hard to forgive yourself. I know that for sure. But Jesus already did. He loves you the same way He loves me. 5)	START OVER. I personally believe that God’s forgiveness is pointless if there is no way out for every dead end. God always gives us second chances after we fall so that we can begin again; so that we can experience His love all the way. 6)	GOD’S POWER IS AT ITS BEST WHEN OUR STRENGTH STARTS TO FAIL. I know this for sure. We seldom succeed by our own efforts and talents. But it is the most painful when we give everything, yet we fail. Or, it might be that our sinful nature just ruins everything. But He has a very beautiful plans for you. He has personally designed your path. May we all continue to stay in love with our Savior, Friend, Defender, and Lord Christ Jesus. Just beautiful my brother…just beautiful. So well said. Patty is a precious saint and friend of mine too, like you, and your post was so encouraging and edifying. Thank you and I thank God for you. You have learned much my brother. Thank you for your insight into the Word for us all. So well stated telling about the loving majesty of Our Lord Jesus. Sure we will meet again in this walk together. May the Lord walk with you everyday. Thanks, Patty. And Pastor. I really appreciate your comment. To be honest, I am not sure though if what I posted here was right. Or if I would be able to convey the exact message that I wanted to tell you. But hearing your insights made me feel that God really taught me so well. And it is a very big privilege for me to share with people the knowledge I acquire as I live. And I also give credits to all the people who influenced me and shared with me the best lessons in life. Through them, I learned how I should live my life the Godly way. And both of you also became some of my biggest influences in my walk with God. I know that He is also teaching me through you. I am very honored to know both of you. May we all continue to enjoy His love and presence every single day of our lives. The honor is all ours humble brother. Your steps on your walk of sanctification are excellent! You are well pleasing to our Lord as you race forward. Your learnings are big help to me! I have saved them on my hard drive for reference. You mention you live in the Philippines. Do you find much persecution of Christians there? On the contrary, Christianity is the main religion here in the Philippines. So we do not really struggle with persecution at all. We have different types of Christianity here though. Born Again, Jehovah’s Witnesses, Protestants, Seventh Day Adventist, etc. But Catholicism dominates, I must say. The only problem that I see inside Christianity here is that each relilgion wants to prove that their own version of belief is the right doctrine. Debates and arguments never seem to end. That’s how things seem to be here. I was wondering about the Philippines. Great to know there isn’t any violent opposition and all is well with the Christian community at large. I read some reports your neck of the woods were getting radical Muslim insurgency. As are we! Our dictator has seen to this. Right now Biblical Christians are being discriminated against. I fear a day not too far away we will be persecuted as in the true Bride Church countries. Changing gears to a much more positive. Do you know of Tim Tebow Parents’ Mission there in the Philippines? Here is a great article about Tim Tebow. I will check these webs later. Thank you very much. Aside from Christianity, Islam is also one of the major religions here. Some of them are really the violent ones. Or should I say, some of them are terrorist. It is not that I judge them, but that is how they operate. Another thing. Here in the Philippines, some Christians’ greatest struggle is how to share their faith. And how they will be able to justify their beliefs. Because some religious people will try to convince people that their own belief is right by contradicting one’s faith. Or one person will just not simply accept someone’s belief because he/she is so into his/her own beliefs. Filipinos are too religious, but some really struggle with sharing. Isn’t it too ironic? I see. Even I myself does not completely rely with what he said. Not because I don’t trust his gift or God, if that ability of His really came from Him. There is still a part of me that says keep on seeking, for He is faithful enough to put me on the right track. I am thinking that God wants me to be the one to look for the answers for my own question, by living a holy and pleasing life in His eyes. Because to tell you the truth, I was an unprayerful person. I just read the Bible whenever I wanted to. I was very complacent with my life even if I was at my darkest hour. I was thinking that in His perfect time, He will just lead me to His perfect path for me without a very good relationship with Him. I was content that I am JUST a Christian. As long as I have Him, then that is fine with me. But I realized that I am more than that, for I know that I am gonna make a difference in this world, through His majestic power. He wants to do great wonders throgh me, and His plans will only take place the moment I start doing so. As for now, I think I will listen to what he says. Since he is a man of God as well, and he is living a holy life, there are some things that I learn from him, and he also learns for me. When it comes to my future, I just leave it to my Maker. I know that He is already perfecting His will for me. And I won’t turn back. Not now. Hello everyone. I hope and pray that everyone starts the week with joy, strength and hope. I just have a quick question as of this time. And all answers will definitely be helpful. I am currently in a big trouble. Might not be as big as the others’ problems though, but I can say that these problems are big enough for me. Does anybody here know how God feels when His child/children are in big trouble? Or if there is/are Bible verse(s) that state(s) about His feelings whenever we are being shaken. I just wanna know how He looks at us if we are in the midst of great pain. Anyone of you can tell where I am at this point because of my question. To give you a little bit more about my dilemma, God gave me a revelation when I was reading the whole chapter of John 16. It seemed like God warned me that things will not be so easy on me as I decide to walk with Him. And I technically gave Him my YES. But it, after all, still going to be a different thing if you’re already in that situation that you are bombarded by problems after problems. Disappointments after disappointments. Failures after failures. Tears after tears. Please forgive me if I seem to be so dramatic. I am just being honest with my fair share of pain. But the other side of His revelation is that, after all of these hardship, I will definitely rejoice. So much joy that I’ll be able to forget all the things that I have to endure. And I am really looking forward to that day. I remember a passage that I once read stating that God might be preparing a very big encounter for me. An encounter worth waiting. But as of now, I am happily waiting and holding on to His promises. Thank you for the opportunity of letting me share my own piece of journey. God is with us. Always. Greetings gentlemen. Yes, gentle men. Just strike up a conversation. What is it that finally brought you to hear the Lord’s voice? Share that. Remain as transparent as possible. The sweet gift of age is you do not care about what people think of you. Be unfazed. Impossible to insult. Be self less. You do care what they think of Jesus. Not about YOU You you but about HIM Him him. Our church this year is doing a community wide program called My5. The goal is to share our faith to 5 people such as our neighbors. It begins coming out of our caves and waving to our neighbors. Run outside when you see one doing yardwork and strike up a conversation. Work in the Word as often as possible to whomever you encounter. Greetings once again dear Matthew. >>>We always carry around in our body the death of Jesus, so that the life of Jesus may also be revealed in our body.” 2 Corinthians 4:10<<< YES! The means to me that we are to die to ourselves [fleshly ole man and woman] and live for Him. We must first be crucified on the cross with Him to be born from above as we are raised by the Baptismal Holy Water. Coming from the water we rise as He did to become a transformation. Here is a new conversation just started on our dear Pastor's site, Rhetorical Jesus. I hope everyone reading this goes here to find out more about the wonderful offerings by the Telling Ministries of Crossville, TN. Rhetorical Jesus: I have called you to be My disciple. What does that mean to you? Sheesh! Once again proving I am a fallible human being. We need an edit pulldown! Please call the Christian suicide helpline. If you have a relative or dear friend have them call a Doctor for you and take you to an appointment. God loves you. He knew you before you were born and will call you to the eternal home in His time. It is not your choice to end your life. God has a plan for you. Please post to let us know your progress. Thank you “Heart” for your comment. First of all, I would do what PattyG suggests. Call the suicide prevention hotline. Also, after that, call your pastor. Are you connected to a Bible-believing church? If you do this and you are not really saved, you face the wrath of God for all eternity with no hope of ever escaping. Our hearts go out to those who have thoughts of ending their own lives through suicide. If that is you right now, it may speak of many emotions, such as feelings of hopelessness and despair. You may feel like you are in the deepest pit, and you doubt there is any hope of things getting better. No one seems to care or understand where you are coming from. Life just is not worth living…or is it? Why should you not commit suicide? Friend, no matter how bad things are in your life, there is a God of love who is waiting for you to let Him guide you through your tunnel of despair and out into His marvelous light. He is your sure hope. His name is Jesus. This Jesus, the sinless Son of God, identifies with you in your time of rejection and humiliation. The prophet Isaiah wrote of Him in Isaiah 53:2-6, describing Him as a man who was “despised and rejected” by everyone. His life was full of sorrow and suffering. But the sorrows He bore were not His own; they were ours. He was pierced, wounded, and crushed, all because of our sin. Because of His suffering, our lives can be redeemed and made whole. Friend, Jesus Christ endured all this so that you might have all your sins forgiven. Whatever weight of guilt you carry, know that He will forgive you if you humbly receive Him as your Savior. “…Call upon me in the day of trouble; I will deliver you…” (Psalm 50:15). Nothing you have ever done is too bad for Jesus to forgive. Some of His choicest servants committed gross sins like murder (Moses), murder and adultery (King David), and physical and emotional abuse (the apostle Paul). Yet they found forgiveness and a new abundant life in the Lord. “Therefore, if anyone is in Christ, he is a new creation; the old has gone, the new has come!” (2 Corinthians 5:17). Will you trust in the Lord as your Savior and Shepherd? He will guide your thoughts and steps—one day at a time—through His Word, the Bible. “I will instruct you and teach you in the way you should go; I will counsel you and watch over you” (Psalm 32:8). “He will be the sure foundation for your times, a rich store of salvation and wisdom and knowledge; the fear of the LORD is the key to this treasure” (Isaiah 33:6). In Christ, you will still have struggles, but you will now have hope. He is “a friend who sticks closer than a brother” (Proverbs 18:24). May the grace of the Lord Jesus be with you in your hour of decision. i have a desire to help people in ones i also love children, babies and toddlers i can’t get enough of them. My professore has advised me to take and ECE course for child development, in terms taking it as a major. I didn’t know if this is what God wanted me to do, I asked him but then at the same time was caught up in my own thinking, I think I heard of God tell me that he wasn’t going to say anything to me. Because during all this I was also trying to figure out if I knew it was from God, by checking online at Ebible.com to help me. One of the suggestions was sometimes others may tell you what you are good at and that may be gods confirmation. One of my leaders told me that i was going to be in ministry and that i was a little evangelist, i personally did not get that. I didn’t realize who i was going to be in the future and then my professor tells me that i am great wish kids. So i am confused and i am thinking that i made a big mistake by saying yes to the major for child develpment. Time will tell Genesis whether this was a bad choice or not. This troubles me: “One of my leaders told me that i was going to be in ministry and that i was a little evangelist.” God does not speak through other people about our future! Never! God speaks to us through His written Word the Bible and we can counsel for the advice of others but listening to others is sinking sand for a foundation. God’s Word is a Rock and sure foundation. If you love children then God has put that desire in your heart and our deepest desires very often go with what our calling should be and it’s not an evangelist in the ministry because the Bible is crystal clear that only men can be pastors of a church and this includes evangelists. Why would God speak through someone else, professor or not, and not directly to you and your heart and through His Word. Ignore these “others,” trust God, do what you desire and love (children) and focus on Christ. A wonderful article that lifted me up on a day that was very difficult for me. Reading this article with dc Talk on in the background, and I feel quite good. Thank you for that, God, in Jesus’ name. I wonder why I haven’t considered that God wants us to know His will. For some reason, I thought knowing His will involved some “Treasure Island”-like treasure hunt, but that really doesn’t make a lot of sense, now that I think about it more. There may be times where God needs people to search to build up their faith, but that may not be the case for everyone. The will of God is that we believe in His only,true and divine Son Jesus our Messiah.This rules out all doctrines that state Jesus was God,Jesus was eternal,Jesus was only an Angel,Jesus was a mighty man etc,etc,.In a nut shell anything that denies Jesus as the ONLY,TRUE AND DIVINE SON OF GOD is FALSE and it is teaching a different Jesus thus a different GOSPEL than that taught by the Apostles.So do the will of God the Almighty and believe in His Son whom He sent to us from Heaven as our Saviour and be saved. Thank you Angel. I corrected it. Thank you so much. Hello there, brothers and sisters. How have you been? I missed those times talking to you. By God’s grace, I am doing great. How about you? Hope to hear from you very soon…..
Great to hear from you Matthew. I pray you are well. I believe Patty is too. It has been a while, isn’t it? For me, I can say that I am still praying for the things I was praying for the past year. But our God has been faithful enough to respond to me with love. It looks like I still need to wait for that perfect time, for my own time to shine. Looking forward to these greater things ahead of me…. Truly it is my great joy to be connected with you. Is it okay if we stay connected on a daily or regular basis? Let us keep in touch and update each other with our respective lives and walks with God. If that is just okay with you….. Thank you for your kind remarks. They are so encouraging. God bless you my friend. Yes, it is ironic but it’s not about being religious or having a religion but about having a relationship with Christ and He gives us the imperative command (a direct order) to go into all the world to preach the gospel (Matt 28:19-20; Acts 1:8) and many won’t even go next door to tell their neighbor. What a sin of omission…the “great omission” instead of the “Great Commission” but they will have to give an account to Christ someday for why they were afraid to help in rescuing the perishing. Imagine a house is on fire and the family is upstairs sleeping and they don’t know it. Are we “too religious” to go and pound on their door to warn them because we our getting out of our “comfort zone?” See my point Matthew? Some Christians really struggle with sharing because of fear of rejection. Or it might be because they might not be able to defend their faith in case they encounter people with strong belief in their own religion. But I can’t blame them because that was once my struggle. I can’t say that I am very good at sharing now. But I know that I am taking a step of faith to share Jesus with people. That is a very good suggestion, my sister. I will try to do that. And I will suggest it with my churchmates this coming Sunday. I remember what one of our pastors used to tell us that people do not read the Bible. They read the lives of the believers. That is why some are not so convinced with Christians because they seem to not see the expected changes with us. It became a reminder for me that sharing Jesus is not just through testifying, but letting people see Him in our lives, having a holy and sanctified life. All areas of our lives should declare Jesus as our Savior and Lord. Previous post: 22 Thought Provoking Quotes by Martin Luther King, Jr.